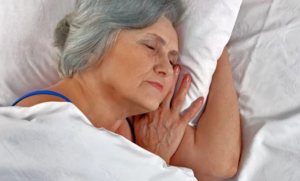 Sleep Is Important At Any Age | Comfort Caregivers, Inc.
Getting a good night’s sleep is important for your overall health and your mood at any age. However, it can be particularly important in older adults. With National Sleep Awareness Week this month, now is a particularly good time to discuss your sleep (or lack thereof). Conditions like depression, anxiety, and dementia can increase the risk for sleep disorders, especially insomnia. Certain existing health conditions, including cognitive, neurological, gastrointestinal, respiratory and urologic issues, as well as various medications (for high blood pressure, COPD, rheumatoid arthritis, cardiac disease, GI problems) can also affect a good night’s sleep. If you’re having a sleeping problem, it’s a good idea to talk to your physician. If he or she suspects a sleep disorder, a sleep study might be recommended. During such a study, sensors will monitor your body movement, breathing, snoring, heart rate, and brain activity. Other treatments may include the use of melatonin, a synthetic hormone that induces sleep faster and restores the sleep-wake cycle. On a short term basis, sleeping medications that may help ease the symptoms of the sleep disorder may also be recommended. This, however, needs to be monitored closely, as sleeping pills can increase the risk of falls and can become habit forming. Most importantly, if you think you have a sleep problem, don’t wait until the problem starts to affect your health. Get help.